This week, I was in Athens for 48 hours. I had 3 of those to myself - so of course I headed off to the Acropolis. The hotel concierge felt very sorry for me, because it was raining on my one chance to see the 'pride of Athens'. But...OMG...it was amazing. Yes, the wet marble (so much marble) was slippery so I had to walk carefully but the rain kept everyone else away! There was one tour group there and me! THAT'S IT! Just me and 25 other ppl - at one of the world's biggest tourist attractions!!!!! Also there's something kinda romantic about an ancient historical ruin in the rain. Moving forward - I'm going to try and visit ancient ruins on rainy days only. - I'll do my research and download a good audio guide to listen to while I walk around. The signage was only okay. - Will also print out/study a map of the complex pre-excursion. - Will hopefully have time to visit the Acropolis Museum too. 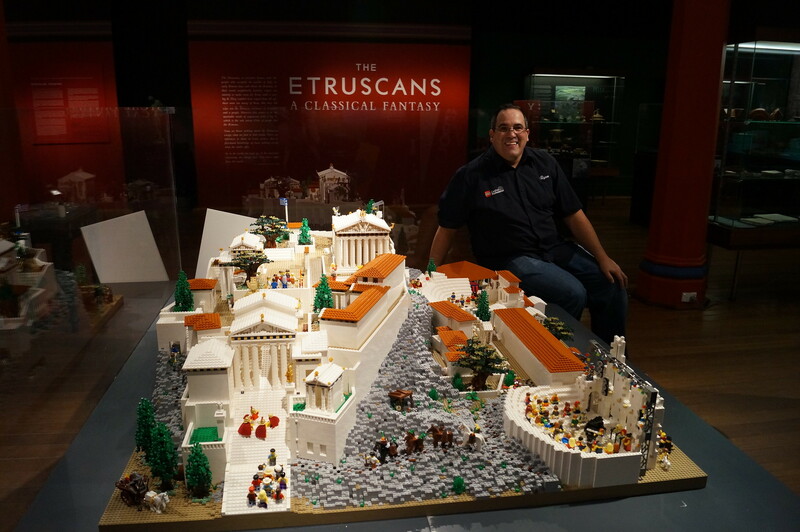 ALSO This guy built a LEGO Acropolis - complete with citizens watching a gruesome play, roasting chickens on a spit, and being chased by squirrels. His name is Ryan McNaught and he's a certified Lego Professional. His website is www.thebrickman.com...the.brick.man.....how can we become friends?